Pretty blooms for Mama Daisy. A few weeks ago I had somewhat of a mini meltdown. As soon as Granny Daisy landed on Hong Kong shores, she decided to accidentally break all of my appliances, suddenly I was averaging around 20 bites per night (new mattress required ASAP) and I began questioning if I was really cut out for this whole living-thousands-of-miles-away malarkey. Of course that’s all blown over now but to say a little thank you to Mama Daisy who steered me back to normalcy, the wonderful team over at Debenhams offered to send a beautiful bouquet on my behalf. 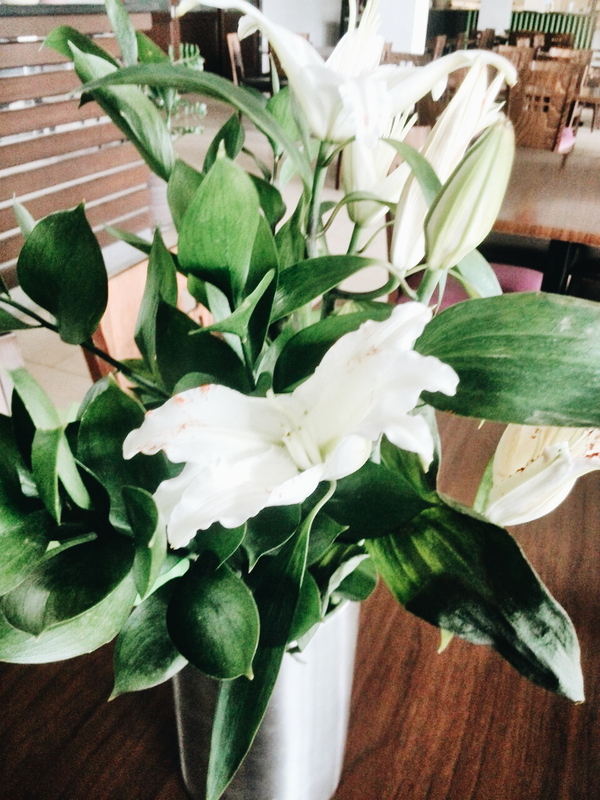 I opted for the Radiance bouquet, a decadent flourish of lilies and roses in spring-esque hues, and had it delivered to our restaurant. She loves being the centre of attention! They’re ever so beautiful and I wish I could’ve been back in England – gawd, here I go again – to snap them in all their glory. Lilies are some of my favourites! And my Mama’s photography leaves a lot to be desired: must remember to show her the ropes when I’m next in England. As a little further gift from me to you, you can receive 25% off flower bouquets at Debenhams with this code: DFBLOG25 (: Treat yourself to a fresh bloom for Monday or treat a loved one as a surprise. Or you could, y’know, send me some imaginary peonies and hydrangeas. My favourite.